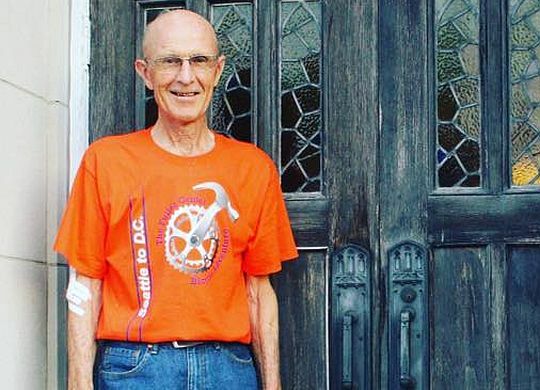 For two weeks this summer, Bob Hibma pedaled his bicycle from Lincoln, Nebraska, to Peoria, Illinois during two weeklong segments of the Fuller Center Bicycle Adventure. Bob sat down with the Northwest Iowa Review to talk about how he first got involved with the charity ride and what the experience is like. The article also mentions Northwest Iowa’s Salem Reformed Church and the work they did with The Fuller Center during a service week in Pearl River, Louisiana.